Don't run from laughter or joy or love. Step forward and lean faaaar into them! Accept these amazing and beautiful gifts. Try not to let problems, worries, or negativity take over your day. Be so enthralled and become so connected to love, joy, and laughter, that they become a part of who you are and how you treat others. Lean into laughter. 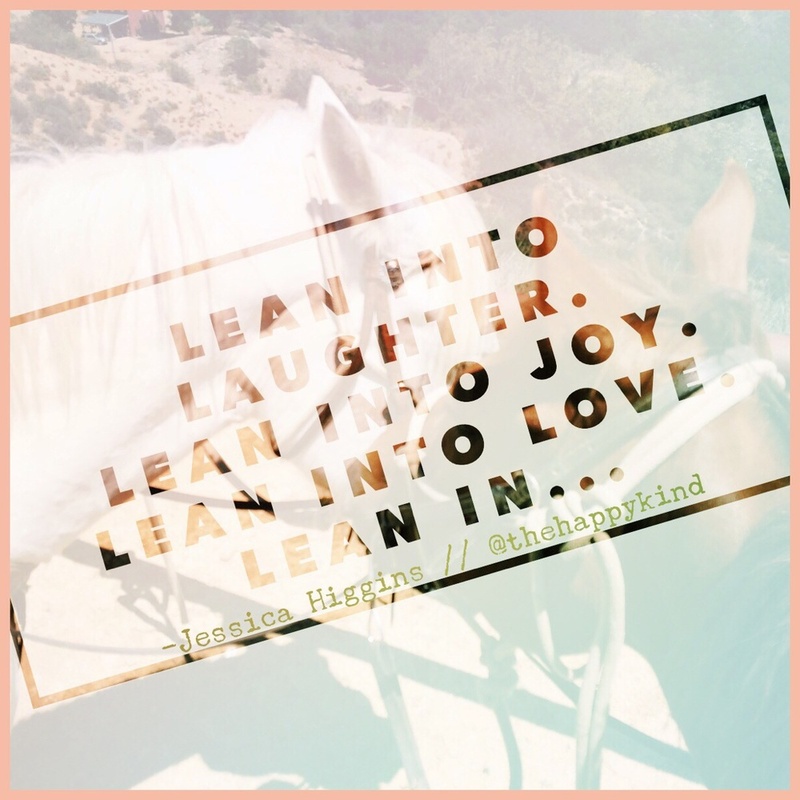 Lean into joy. Lean into love.